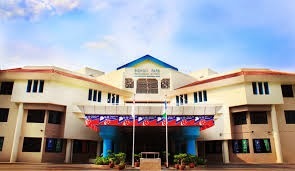 Bishan Park Secondary School is located at 2, Sin Min Walk in Singapore 575565. It is enclosed within the Sin Ming Region. Sin Ming is situated between Bishan Park and Macritchie Nature Reserve. It is composed of residential and industrial buildings. Nearest MRT is Ang Mo Kio MRT and the closest bus interchange is ANg Mo Kio Bus Interchange. Amenities in the area include Thomson Three, Sin Ming Plaza and Ang Mo Kio Hub. Some of the schools close by are Peirce Secondary School, Ang Mio Kio Primary School and Aitong Primary School.